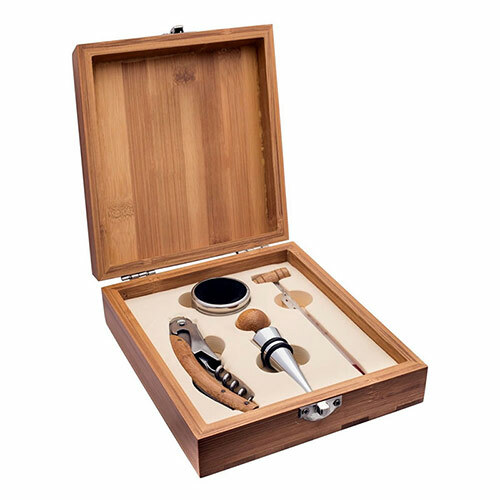 A quality wine accessories gift set in a bamboo wood hinged presentation box. 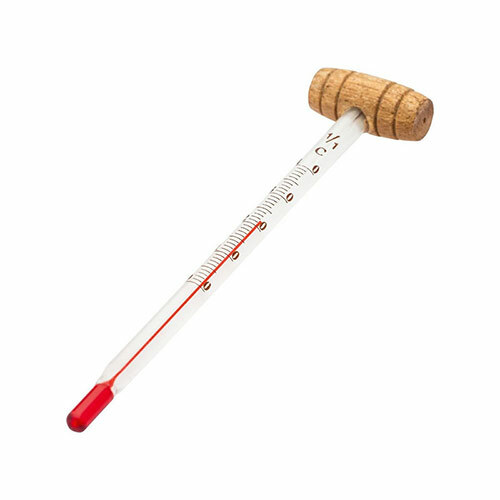 Ideal as corporate gifts or promotional items, these wine sets comprise a wine stopper, corkscrew, wine thermometer and bottle collar. 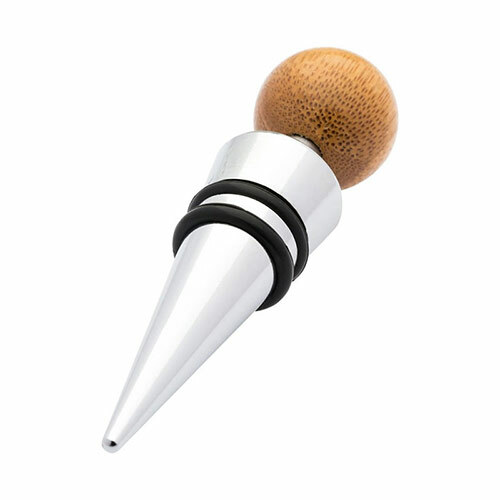 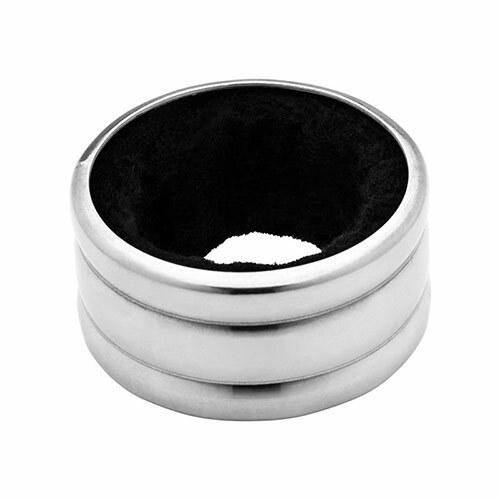 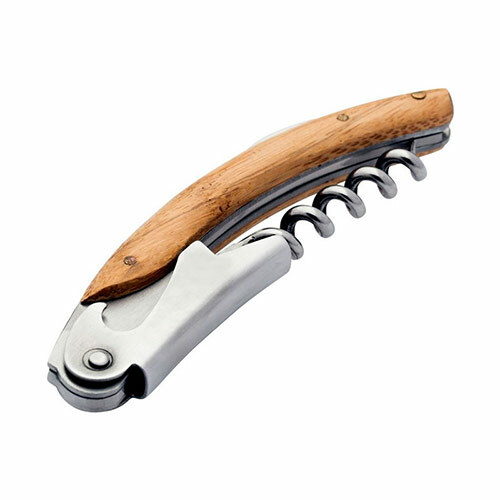 The corkscrew and stopper are both made in stainless steel with bamboo wood handles. The four wine accessories are inset within a bamboo wood hinged presentation box. 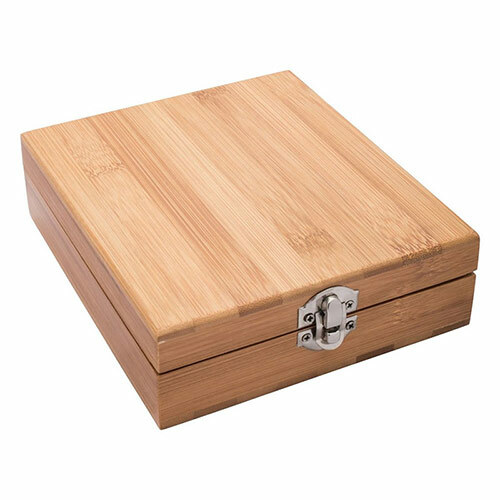 The lids of these gift sets can be branded via laser engraving and this is offered free of charge.